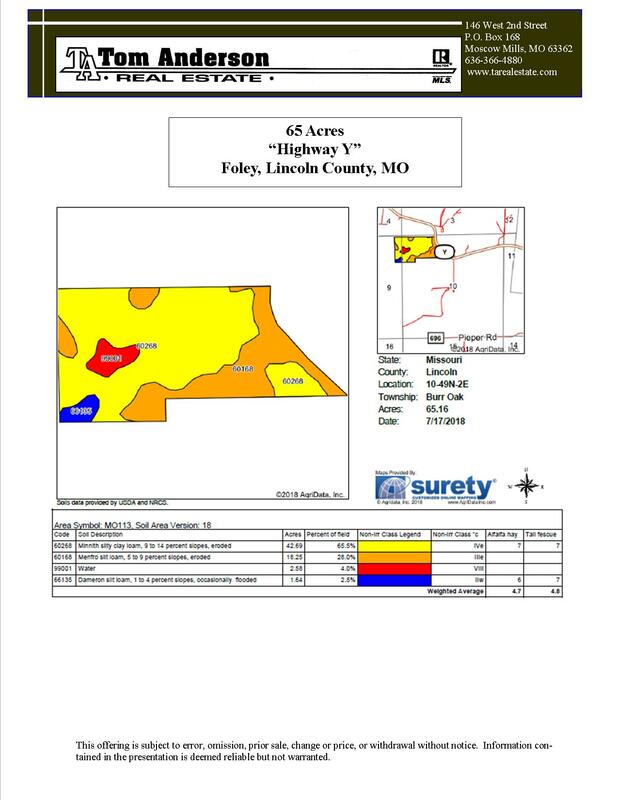 65 Acres, Foley, Lincoln County, MO. 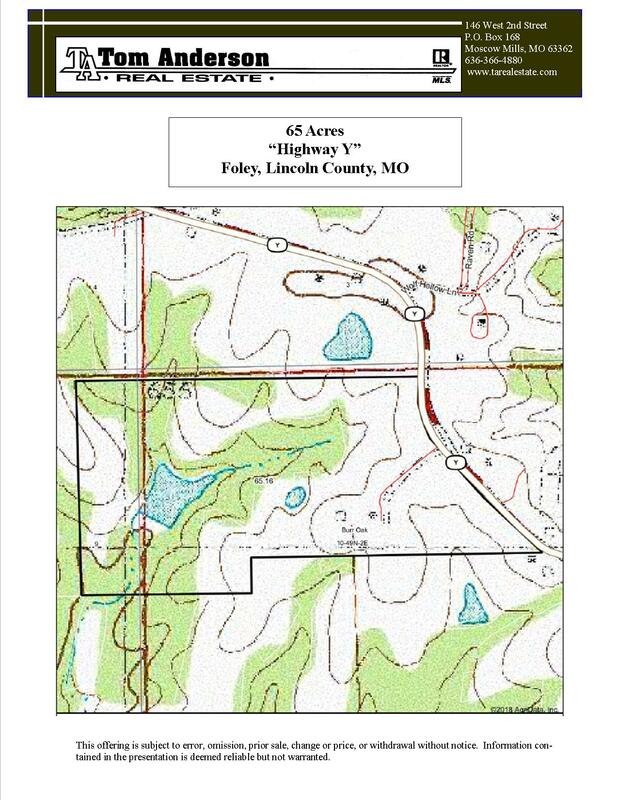 This 65 acre tract is located on Highway Y West of Foley in Lincoln County, MO. The acreage features 2/3 wooded and 1/3 rolling, open pasture. This property is highlighted by a two acre lake fed by Stone bottom draws in a park-like setting. The improvements on the property include a Brick, Ranch Home, Earth Contact Home and Machine Shed. 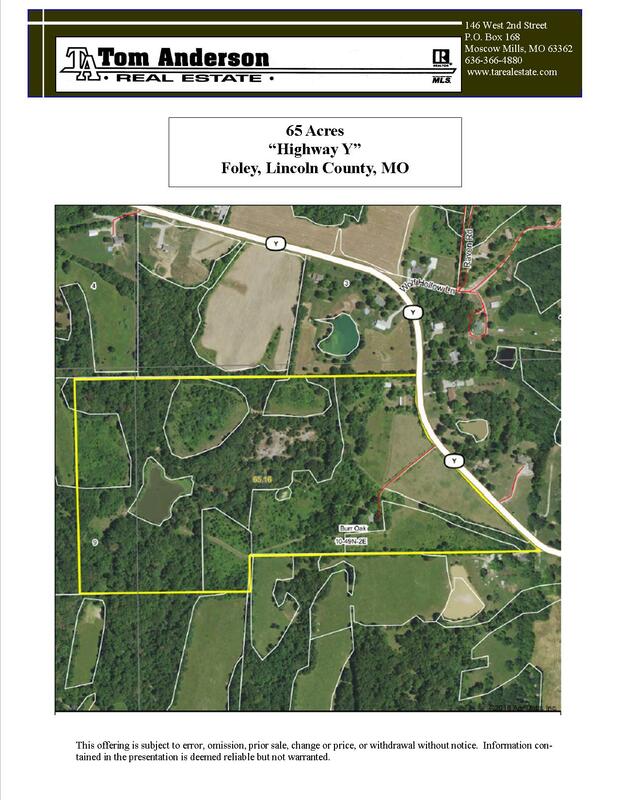 This property has great potential with abundance of wildlife habitat for the hunting and recreation enthusiast. This is ideal for your permanent residence or weekend retreat at only 40 minutes from the St. Louis Metropolitan area.